Shopping for Princess and the Frog Pop! Vinyl Figures? Travel down to New Orleans with this Disney Princess! From the Disney movie, the Tiana Pop! Vinyl figure has been redesigned wearing her beautiful blue dress. 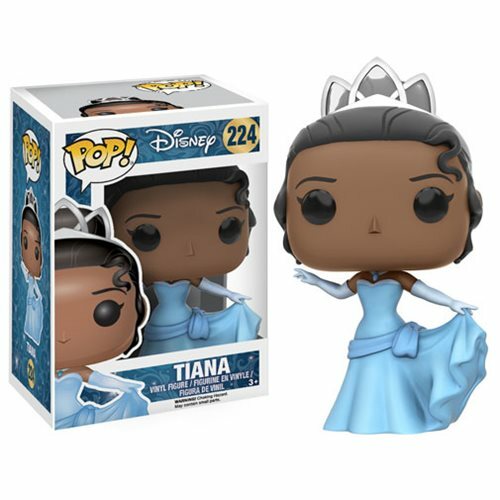 The Princess and the Frog Tiana Gown Version Pop! Vinyl Figure measures approximately 3 3/4-inches tall and comes packaged in a window display box. Ages 3 and up.